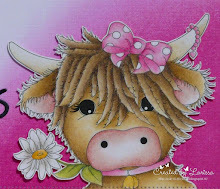 Goodmorning, today I am posting a new card on the Gerda Steiner designs blog. This time I made a halloween card with the cute ghosts from the stampset A boo for you from Gerda Steiner designs. 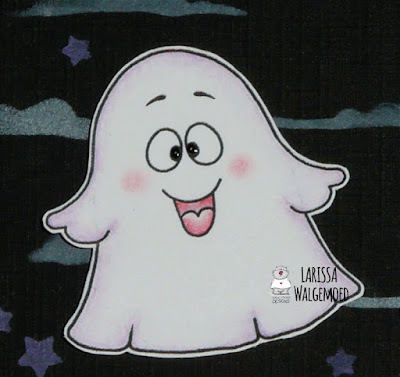 I stamped the ghosts and the sentiment and then I coloured the ghosts with my Polychromos pencils and the black glaze pen. The colouring was very fast to do. ;) I have given both ghosts a purple shadow, I hope you can see it. Then I have fussy cut the images. 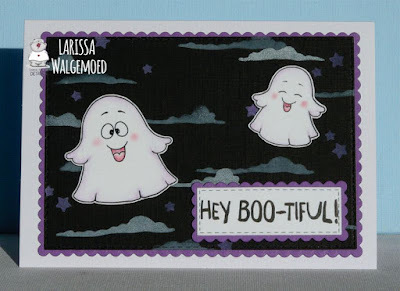 I have die-cut a scalloped rectangle from purple cardstock with the Crea-nest-lies XXL 56 from Crealies. 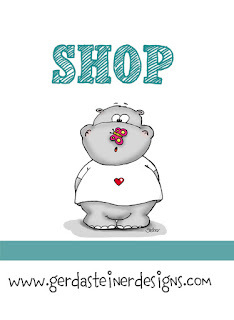 From black cardstock I have die-cut a rectangle with the Crea-nest-lies XXL 36 from Crealies. On this rectangle I made a background for my images. 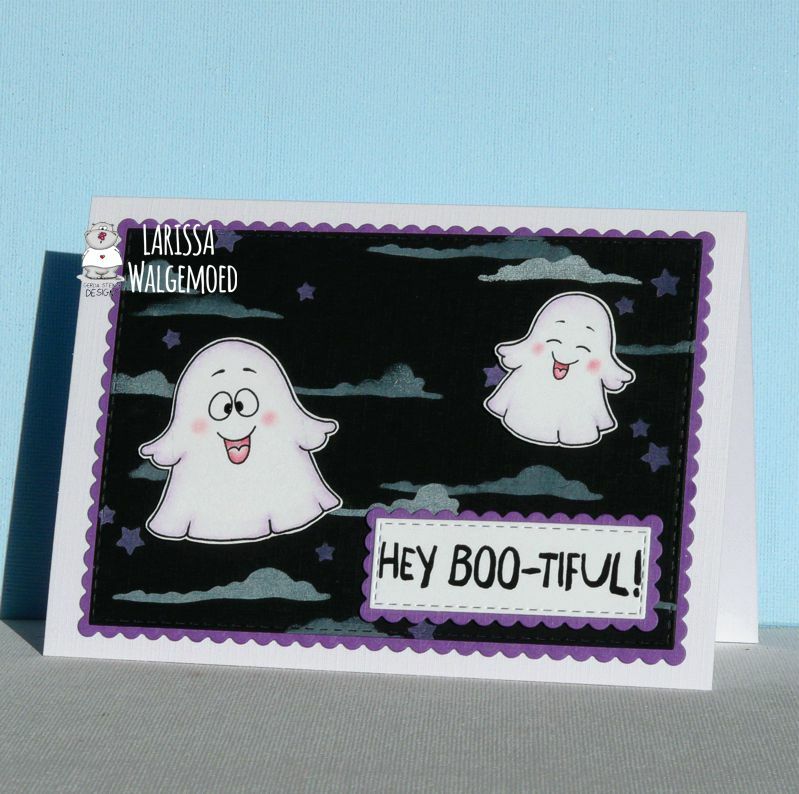 I have die-cut the Spooky clouds from Taylored expressions from a scrap of cardstock and used it as a stencil. With a dauber and Memories unicorn ink I coloured the clouds on the black rectangle. I used the Lots of stars - Creative cuts from Mama elephant to create another stencil and with a dauber and Wilted violet distress oxide ink I added a couple of stars to my background. I have die-cut the sentiment with the Crea-nest-lies XXL 36 from Crealies and added a scalloped rectangle that I have die-cut with the Crea-nest-lies XXL 56 van Crealies. I glued the ghosts with foamtape on my card.